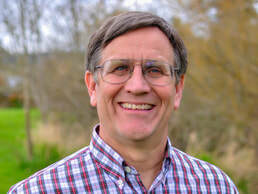 A native Northwesterner, Don has served as Grant Avenue's senior pastor for 24 years. He loves to preach and teach, and is a product of Oklahoma Baptist University (B.A. in Religion, 1977), Southwestern Baptist Theological Seminary (M.Div., 1980), and Golden Gate Baptist Theological Seminary, Golden Gate Center (D.Min., 1997). He also loves to share the gospel as part of mission teams to Tanzania, Mexico, and Peru over the years and has volunteered many years with local youth sports programs as a coach and umpire. Don has been married to his wife Carol for 34 years and they have two adult children. Jonathan is a recent graduate of Fuller Seminary with a Ph.D in psychology and is now working as a psychologist in the student counseling center at Boston University. Caty is an assistant softball coach at Ole Miss University in Oxford, MS. Don is an avid hunter, book collector and a fan of all sports. His favorite foods include snickerdoodle cookies, triple-decker toasted peanut butter and jelly sandwiches, Rice Krispies, and Dr. Pepper to wash it all down!